At Child-Genovese Insurance we can offer you a broad range of products to help protect your jewelry business. From Jewelers Block Insurance to Jewelers Standard Policies, we have access to the insurance products necessary to protect your inventory, stock on memo or consignment, goods in process and raw materials, and customers’ property entrusted to you. It is important to consider how your products are protected from crime, shipping and travel related risks, fire and natural disaster. We can put a plan in place to protect your jewelry inventory and your livelihood. We specialize in helping jewelers across Massachusetts, Rhode Island, and throughout New England. 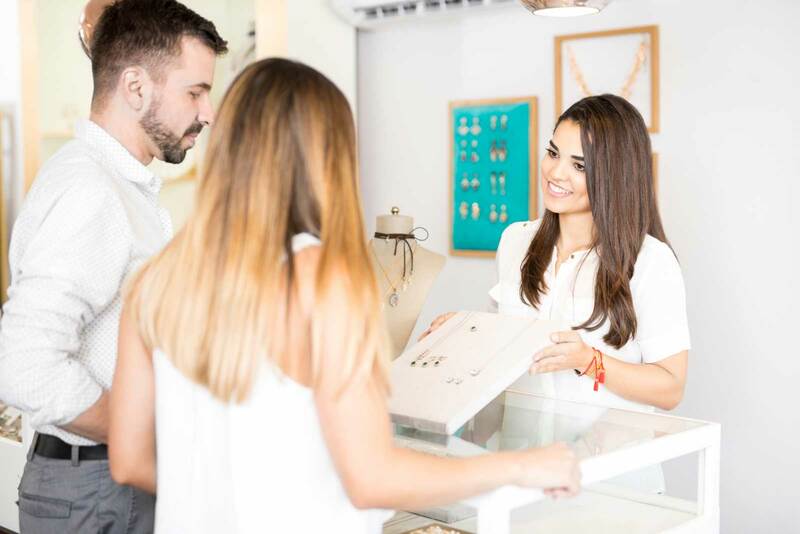 We will help you get the protection you need for your jewelry business personal property, your building, your non-jewelry inventory, your business income, and other expenses from liability-related risks. Consider adding extra protection for extraordinary liabilities that may go beyond the limits of your Businessowners or other liability policies. Our insurance programs will help you get coverage for loss amounts that exceed the underlying coverage limits for: Bodily Injury, Property Damage, Personal Injury and Advertising Injury. Discuss your unique business insurance needs with our experienced jewelers' insurance agent to find the perfect coverage for your business. Why not have us review your Jewelers' Insurance Policy and offer you a competitive quote. Here's a helpful list of additional coverages that we can use to help customize your jewelers' insurance policy. Covers errors or omissions in performing written appraisals on jewelry. Protection from the financial consequences associated with a variety of employment-related lawsuits. Coverage for data compromise, e-commerce, computer fraud/funds transfer fraud, and identity fraud expense. Covers bodily injury or property damage arising out of the use of an auto in a variety of business situations. Covers loss or damage to property belonging to others not in the jewelry trade that is being worked on. Additional protection provided while attending jewelry industry events, as well as your time traveling to and from them. Covers unexplained losses other than those discovered taking inventory or from packages received in good condition. We are members of The New England Jewelers Association, The Boston Jewelers Club, The Providence Jewelers Club and the MJSA (Manufacturing Jewelers & Suppliers of America). We help jewelers throughout Massachusetts and across New England including Maine and New Hampshire.